Click through the rest of our story for detailed write-ups on each winner. The winners of this year’s Digital Cities Survey, presented by the Center for Digital Government,* are redefining the role of the public-sector technology leader at the city level. They’re looking beyond the nuts and bolts of IT, exploring creative ways to leverage their technology investments, and building new, more effective coalitions. This year we saw a nonprofit effort to donate used government computers to the needy; a broad interagency push to collaborate on a strategic plan for IT; and an initiative to leverage IoT sensor data in support of economic development, to name just a few of the standouts. What do these efforts have in common? All take the IT department far beyond the role of a mere service provider. Each winner is elevating the role of the IT leader to make technology a driver of better, smarter, more responsive government. Leveraging a $100,000 Bloomberg Philanthropies Mayors Challenge grant, IT leaders in Coral Gables, Fla., have made this a smart cities year, with a range of digital initiatives. The city’s free public Wi-Fi has been greatly expanded to encompass nearly all of downtown, a move that planners say could be an economic development boon in this hurricane-prone locale. “After a hurricane, businesses that depend on Internet access can be affected. Now with the free Wi-Fi, those businesses will be able to open their doors sooner,” said Director of Information Technology Raimundo Rodulfo. The city also has expanded its fiber-optic network, a connectivity play that could likewise yield public safety benefits in a storm. “Because we have a fiber backbone and cellular and satellite — because we have multiple layers of redundancy — we were able to provide high-speed connectivity to emergency providers, fire and 911 in Hurricane Irma. That mission-critical connectivity proved its value,” Rodulfo said. Beyond issues of connectivity, IT leaders here also have invested heavily in their Internet of Things infrastructure. “In the last year we deployed pedestrian-counter sensors in the downtown area, which are generating a lot of strategic data for businesses. A business owner can see by the hour the pedestrian traffic nearby, which gives them actionable data. It also helps municipal planners in making transportation decisions,” Rodulfo said. Recently, for example, the IT team was able to use this IoT data to pinpoint the economic impact of a downtown art exhibit. Also on the data side, the city has been pursuing an enterprise-wide infrastructure upgrade, implementing hyperconverged systems, software-defined networks and hybrid cloud, all with an eye toward better data management and eventual AI implementations. Click here to see all the winners in this category. David Puntenney isn’t interested in reinventing the wheel. As director of information technology for the city of Westminster, Colo., he made it his mission last year to find out what the best cities were doing in terms of IT management, and to learn from their examples. Puntenney and his leadership team visited civic IT champions across North Carolina — Greensboro, Durham, and Winston-Salem, all Center for Digital Government award-winning digital cities. “We wanted to look at ways that we could do things even better than we have in the past, looking especially at the way other cities were doing cybersecurity and how they were doing their IT governance,” he said. The fact-finding mission paid off. “We came back with some additional ideas on what we can do to further our cybersecurity expertise. We hired a cybersecurity administrator in 2017 and a cybersecurity apprentice, and so we have been able to make some significant progress in those areas,” he said. The visits also gave a boost to technology governance, as the IT team came home with new strategies for making software investment decisions. “We will have a more formal process for conducting business-case analyses, with an executive committee that can weigh the value of different proposals,” Puntenney said. Sabra Schneider sees no reason why the IT department should go it alone. As CIO of Bellevue, Wash., she’s made collaboration the keystone of city technology initiatives. Over the past year those collaborative efforts have given rise to a new Enterprise Technology Strategic Plan for the city, a plan that emerged through multiple conversations with department heads about their IT needs. “It’s not just technology driving the business or the business driving technology, but rather a true partnership for how we can leverage technology to advance city goals,” she said. The strategic plan lays out new guiding principles to drive a more affordable and effective technology investment process. “Those principles will make our project work more clearly and will make us better stewards of technology projects,” Schneider said. 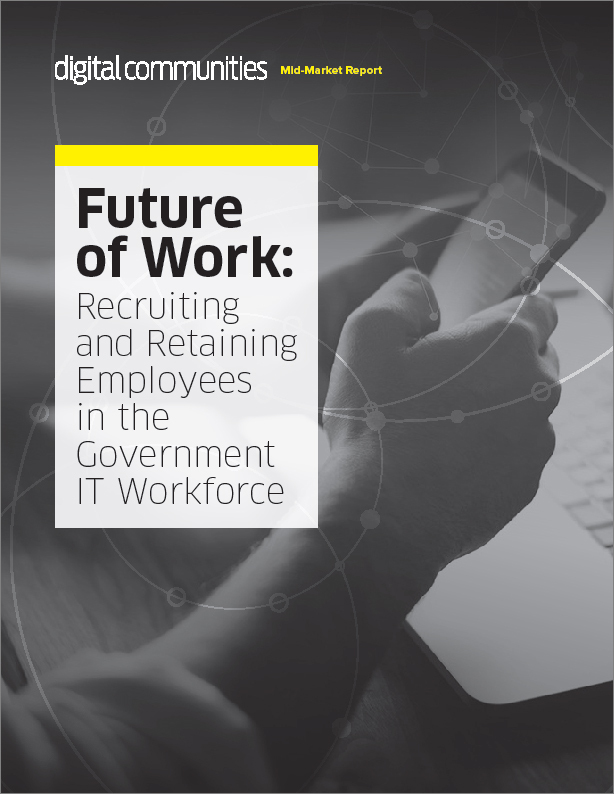 In-depth conversations with business-line leaders have helped IT to focus in on specific, practical needs, for example in a series of mobile-workforce initiatives. The tech team’s support for worker mobility grew directly out of its interactions with government end users. Field workers wanted to manipulate significantly larger files while on the road, so the IT department worked to update their download capacity. Virginia Beach, Va., recently became the U.S. landing point for a 169-terrabit transatlantic fiber, and city IT leaders are leveraging that connectivity. “We have started working with four fellow cities to extend access across the entire region, as a means to bring economic development. We have our first intercity connection, between Norfolk and Chesapeake, and now we are extending that out to higher education, where they need the capacity in support of their research,” said CIO Peter Wallace. Internally, the city has been building up its data analytics capabilities, hiring a chief data science officer, bolstering the data science team, and forging new interdepartmental ties to bring data science, GIS, and the database administrators under a common governance model. As a result, department leaders across city government are beginning to leverage data more effectively. At the same time, the IT department has been rethinking its approach to project management, migrating off of a waterfall model and adopting instead an agile-development approach. “We do sprints to ensure that the customers are more involved in the entire process. We build something and have them try it, and then incorporate their feedback. This way at the end of the day we know it is exactly what the customer expected,” Wallace said. This approach helps ensure the city stays ahead of the IT curve. “Things are changing really fast right now, and we need the right tools to adapt to those changes,” he said. Los Angeles IT leaders are working to turn the city’s technology investments into broadly available public assets. Why throw away old government computers, or hoard cyberdata for civic use only? In L.A., the IT department is leveraging those things for the benefit of the wider community. Launched in August 2017, the continually expanding LA Cyber Lab effort makes the city’s cyberthreat intelligence available to local businesses — for free. “This gets to the heart of what government is, taking this internal asset and sharing it out in support of the business community,” said Ted Ross, chief information officer of Los Angeles. Because the city is a high-profile target, with lots of financial data and other high-value digital assets, L.A.’s cyberdefender may see attack vectors that the business community on its own would never know about. To leverage and disseminate that knowledge, the city set up a freestanding nonprofit entity. Operationally, this ensures the information-sharing effort doesn’t become a drain on city resources. Philosophically, it expresses the cooperative spirit of the endeavor. “We didn’t want it to be seen as just a government effort, with government just pushing everything at people. We wanted it to be a true partnership,” Ross said. The department also has partnered with human-I-T, a nonprofit, to refurbish discarded city computers and give them away to those in need. The city has given away more than 3,250 machines in the past year and a half. “It’s a great example of government taking an asset, bringing in a nonprofit and then distributing it back into the community,” Ross said.